Look every bit gorgeous as you don this beautiful necklace. 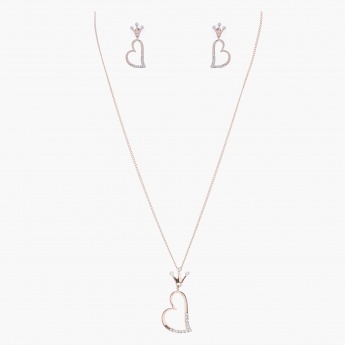 It comes with an enticing heart-shaped pendant with stone studded pattern for an elegant look. The stud earrings complete its charming appeal.